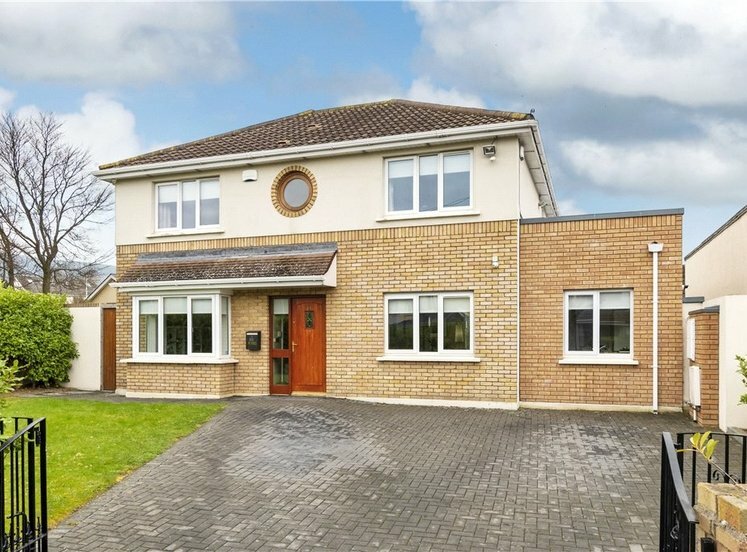 Family residence extended and remodelled to the highest standard throughout. 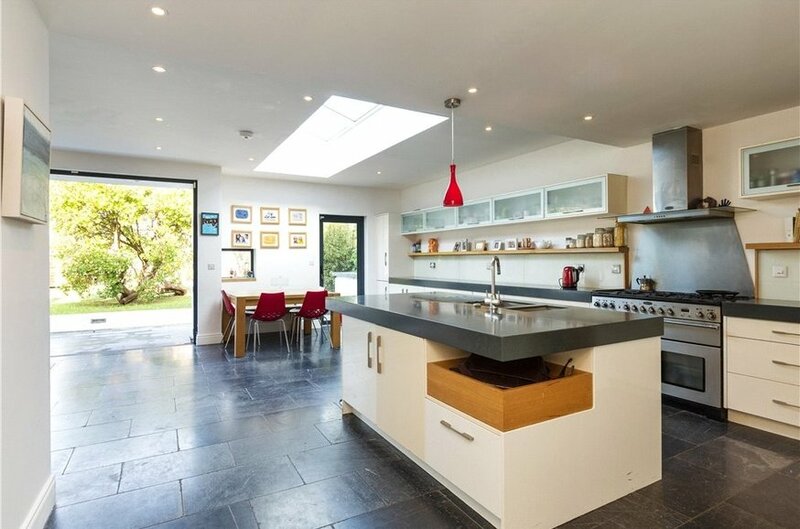 Superb extended open plan kitchen / dining area to rear. 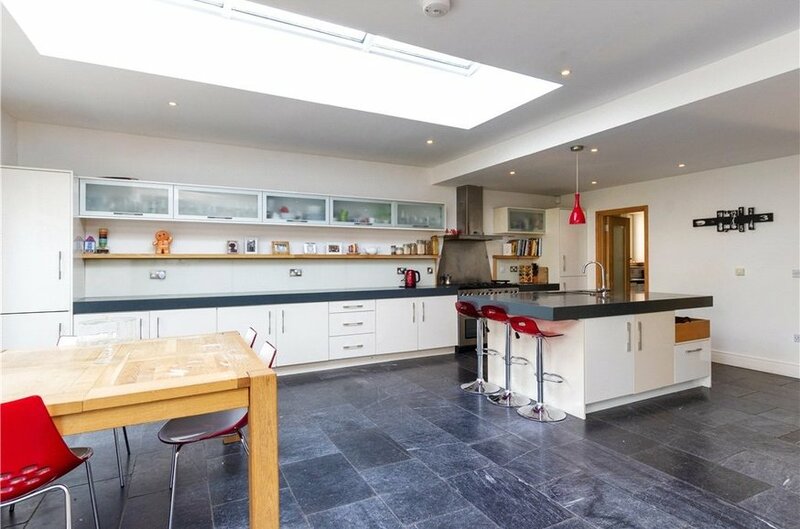 Under floor heating in kitchen/living space. Floor area approx: 175 sq.m. (1883 sq.ft.). 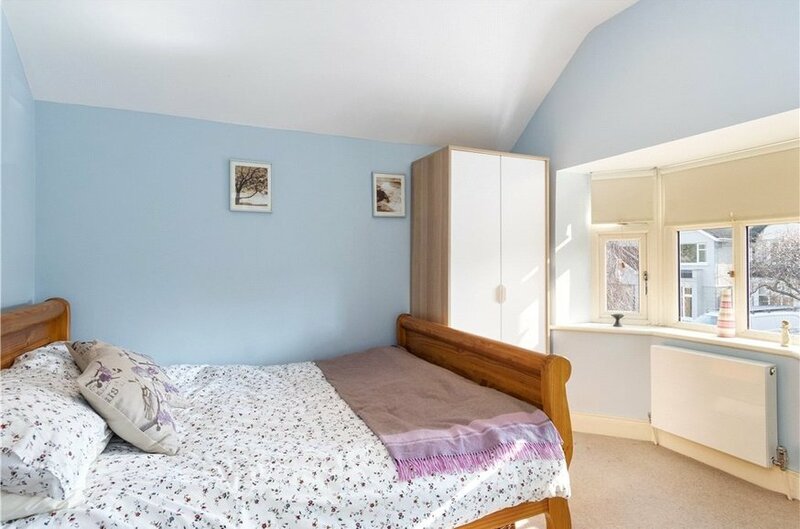 Large converted attic area approx. 12 sq.m. 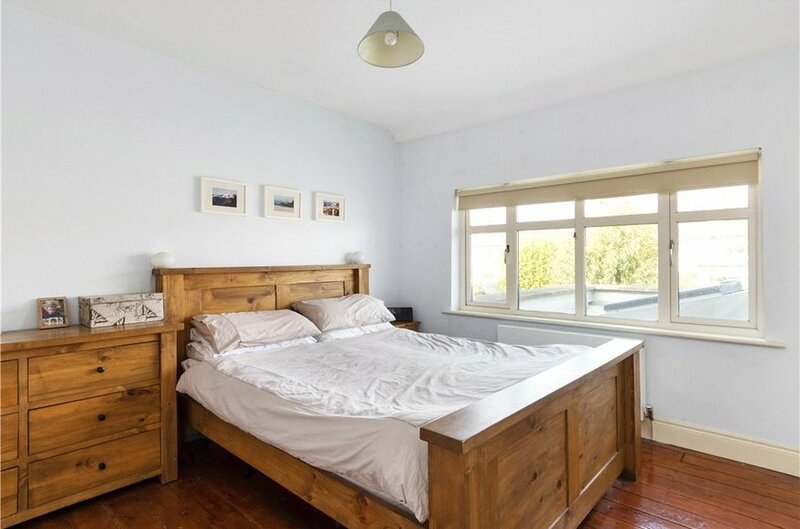 (129 sq.ft.). 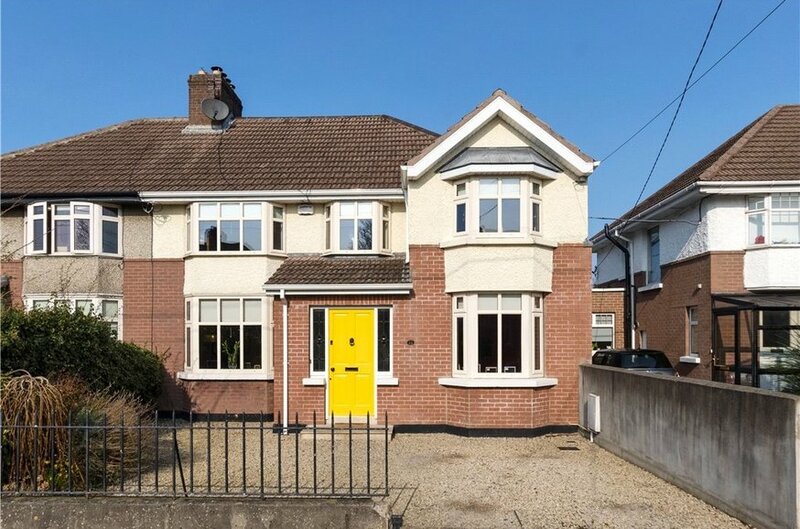 Stunning family home with attic conversion, quietly tucked away in this quiet and peaceful location and yet still only minutes’ walk to Dundrum LUAS and village. 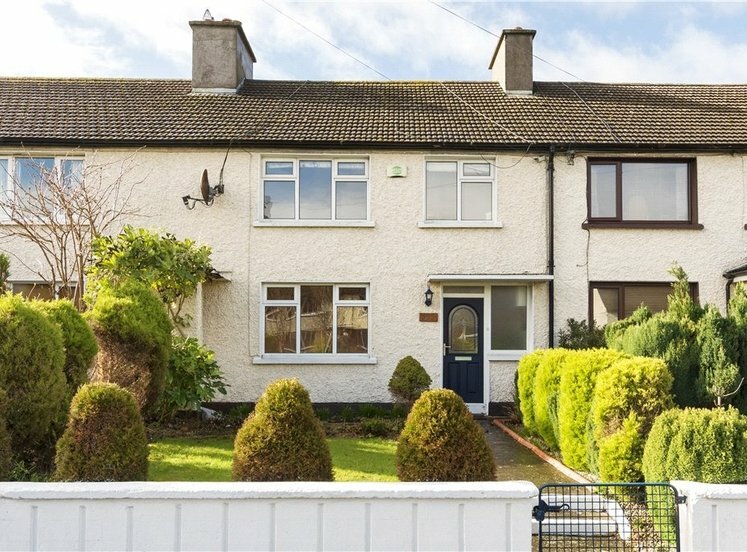 This well presented property is in turnkey condition, with a dramatic architecturally designed open plan kitchen and living area to the rear while maintaining its original 1930’s charm to the front, providing bright and well-proportioned accommodation. 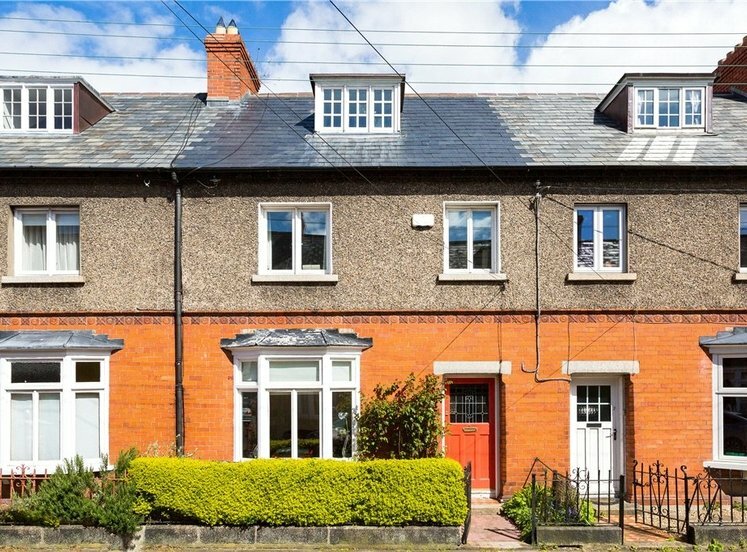 The handsome bay-windowed part-brick exterior provides us with an indication of the character and charm that lies within this fine residence. 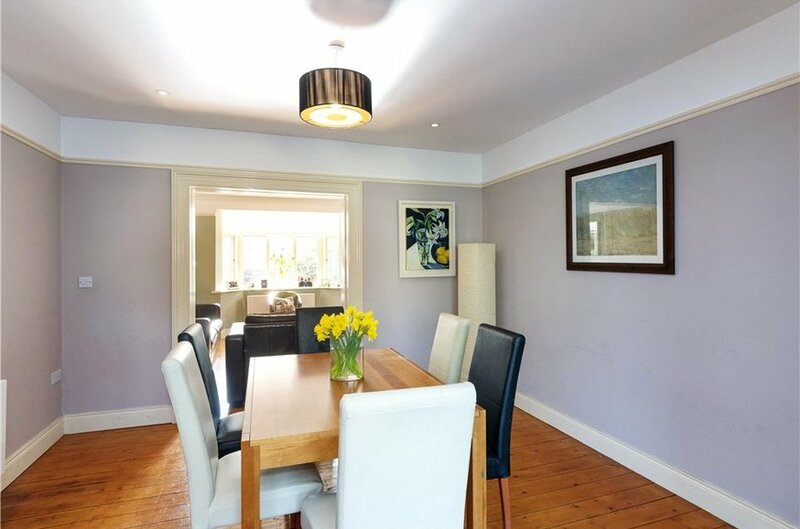 On entering the property, a bright entrance hallway leads to the living room to the front, a dining room and the very spacious modern kitchen and living area to the rear. 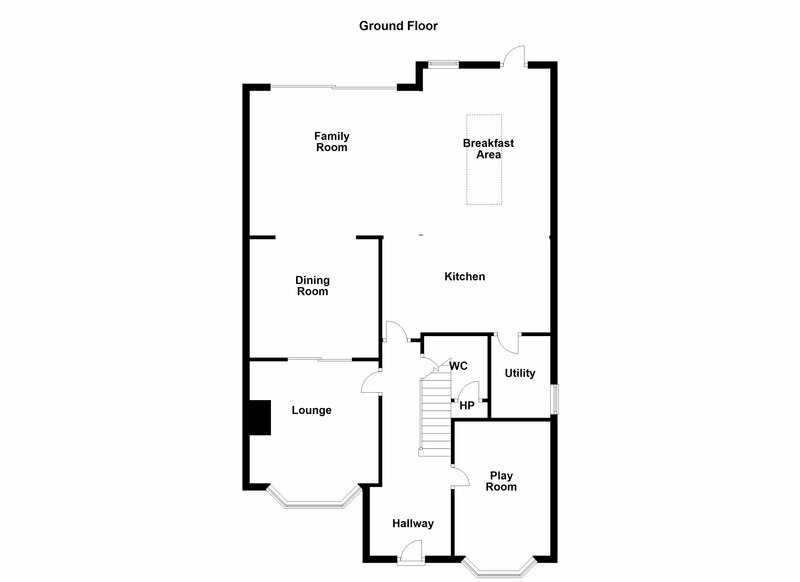 There is also a games room/ bedroom, utility and downstairs w.c on ground floor level. 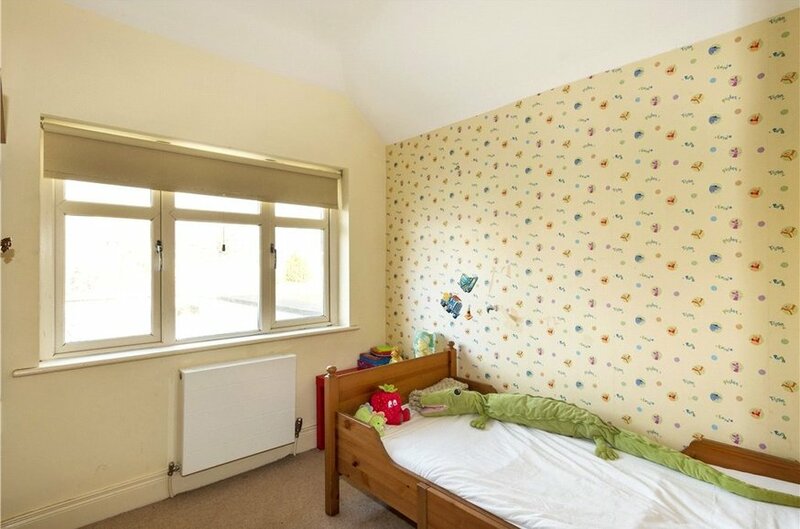 Upstairs there are three generously proportioned bedrooms, a smaller nursery/single room, ensuite and a family bathroom. 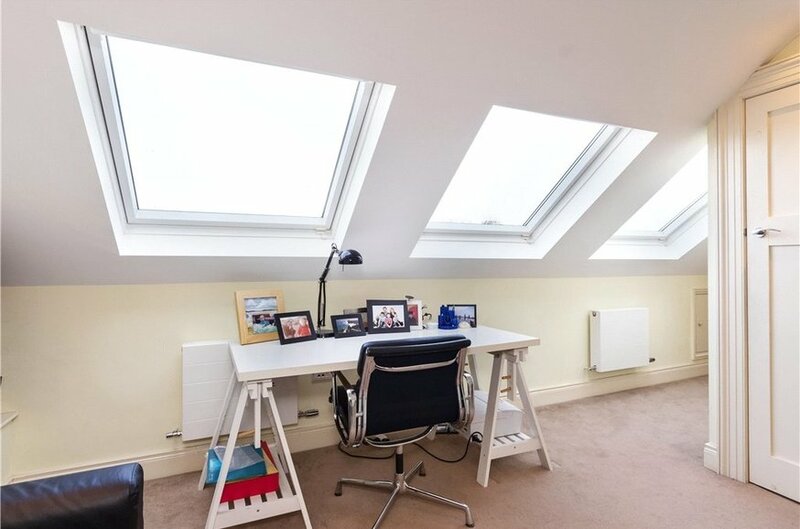 There is a bright converted attic space, currently a home office, (approx. 3.40m x 3.55m) that could suit a variety of uses. The garden is a notable feature of this property, extending to approximately 45 ft. (14 m) with patio area, lawn,mature shrubs and plants. There is also direct access from the garden to a laneway behind the house. 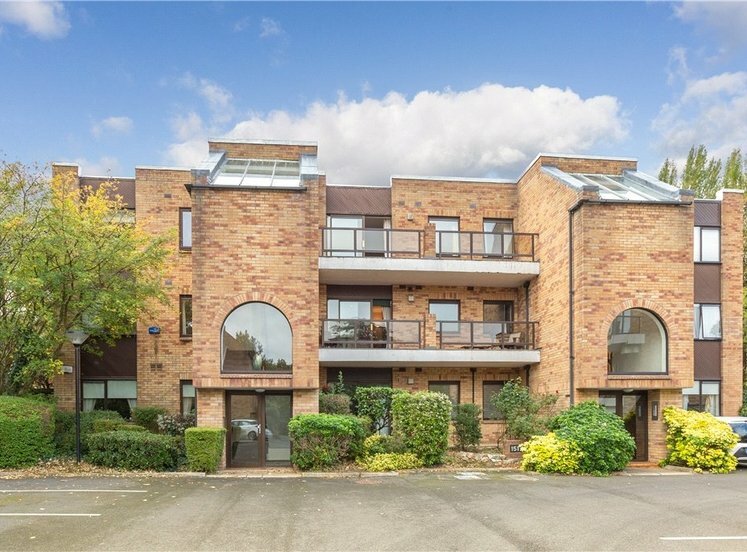 Annaville Park enjoys an unbeatable location on the town side of Dundrum, only a short walk to the Luas and with excellent local shopping and the Dundrum Town Centre on your doorstep. 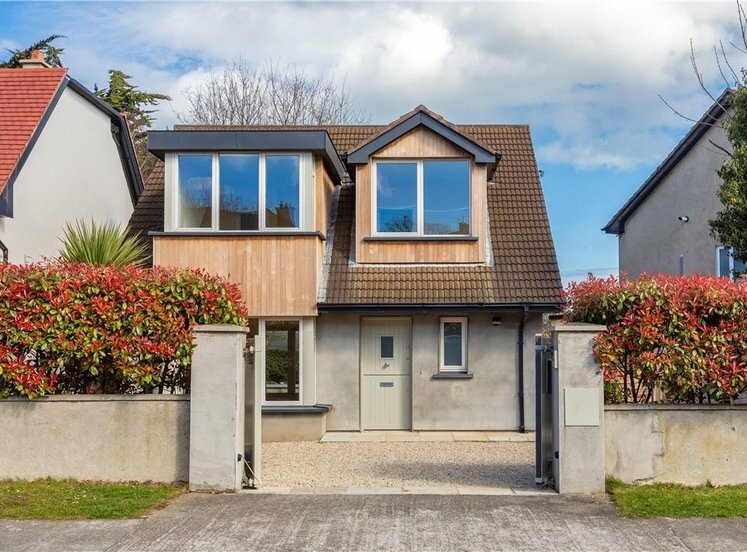 There are a wide choice of schools, leisure facilities and amenities on hand, and UCD is a short walk away. 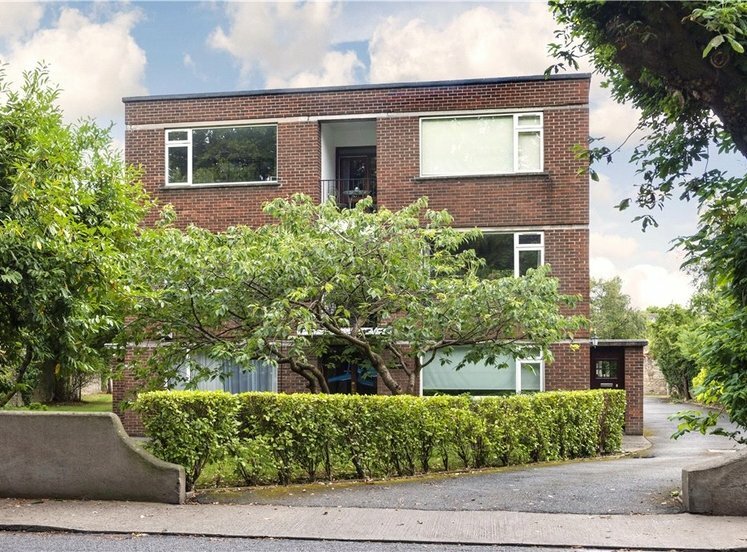 There is easy access to the city centre with the N11 and M50 from here, with a number of bus routes passing on the Dundrum road. 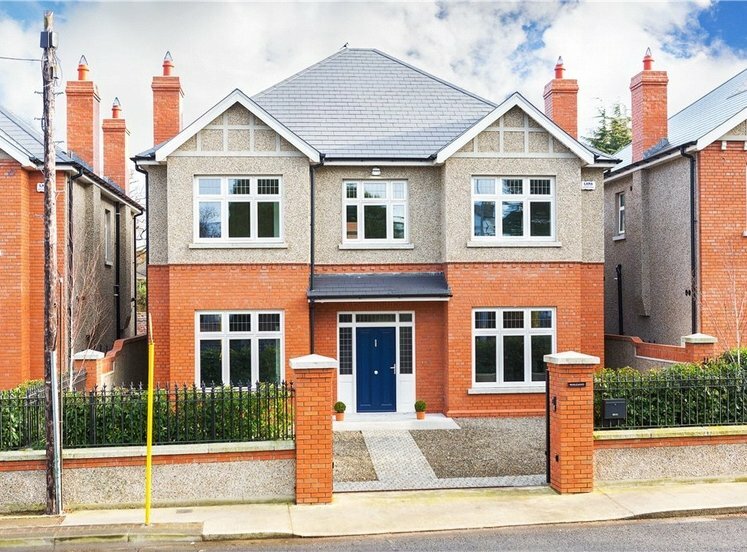 There are a wealth of dining and entertainment options in the nearby Dundrum and Ranelagh villages. 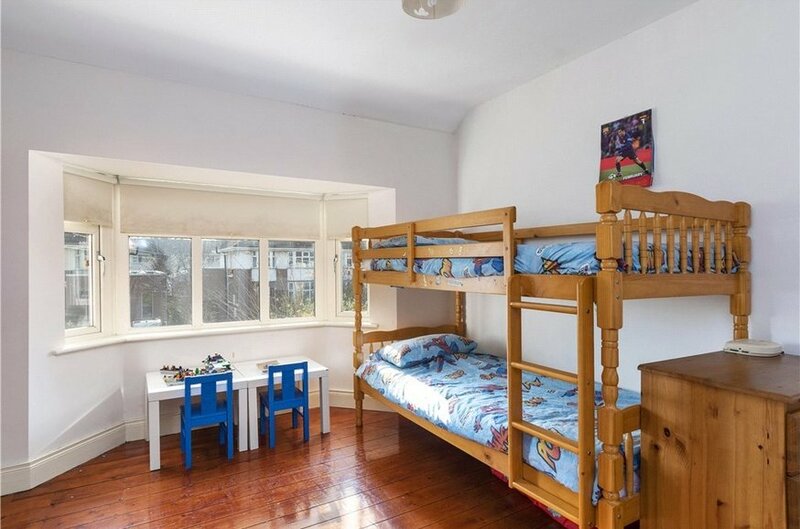 with cloakroom area, hotpress / airing cupboard, w.c., w.h.b. 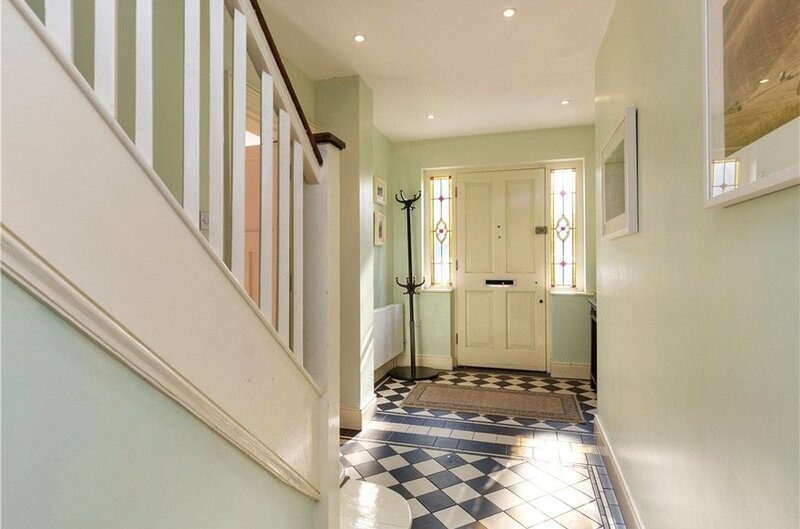 and tiled floor. with magnificent bespoke modern contemporary kitchen with extensive range of storage cupboards, drawers, built-in shelving, display units, six ring gas hob Rangemaster with double oven, central island area with breakfast bar, one and a half bowl sink unit and storage cupboards under, plumbing for dishwasher and provision for integrated fridge freezer, feature glazed apex roof overhead, limestone tiled floor with underfloor heating, recessed lighting and pedestrian door to rear garden. 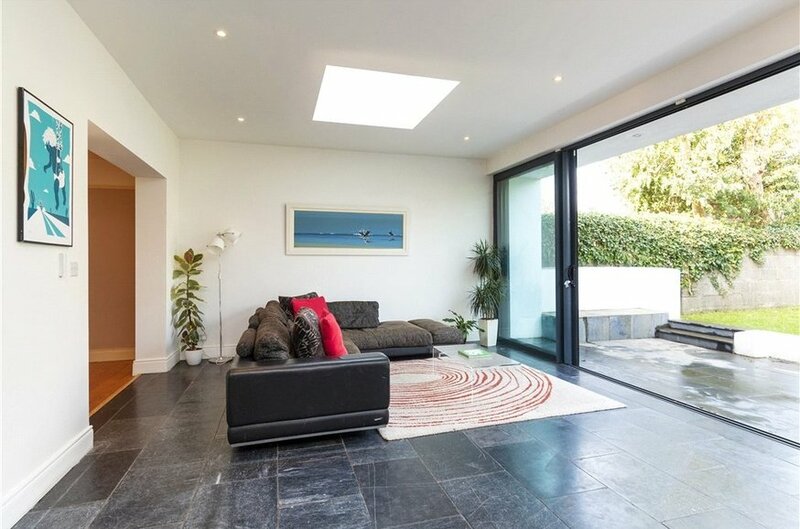 with floor-to-ceiling height sliding doors, limestone floor and opening to Dining Area. 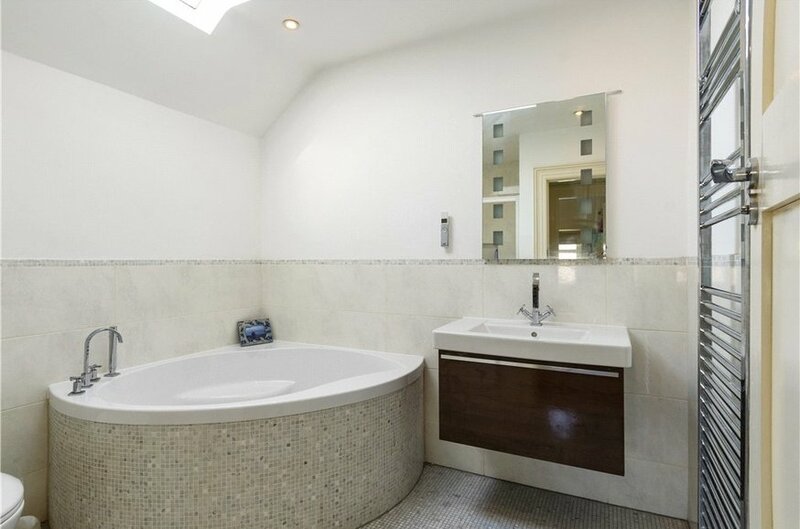 with plumbing for washing machine and dryer, storage cupboards, sink unit and recessed lighting. 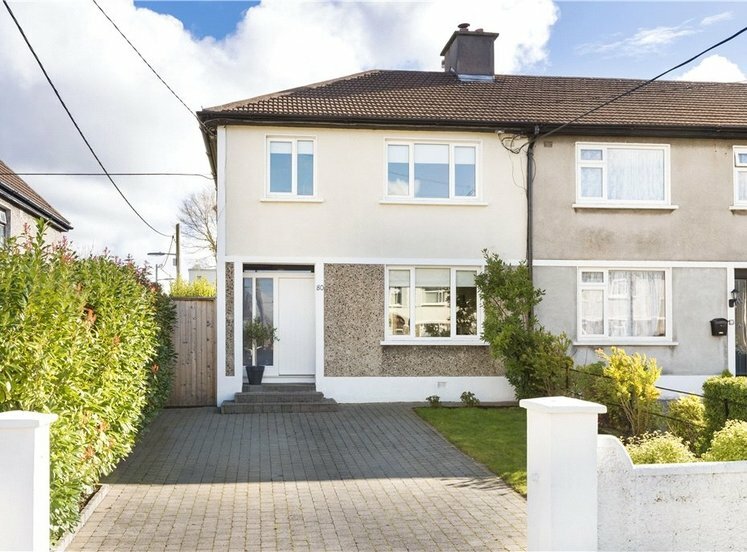 [measurement into bay window] with recessed lighting and window overlooking garden to front. 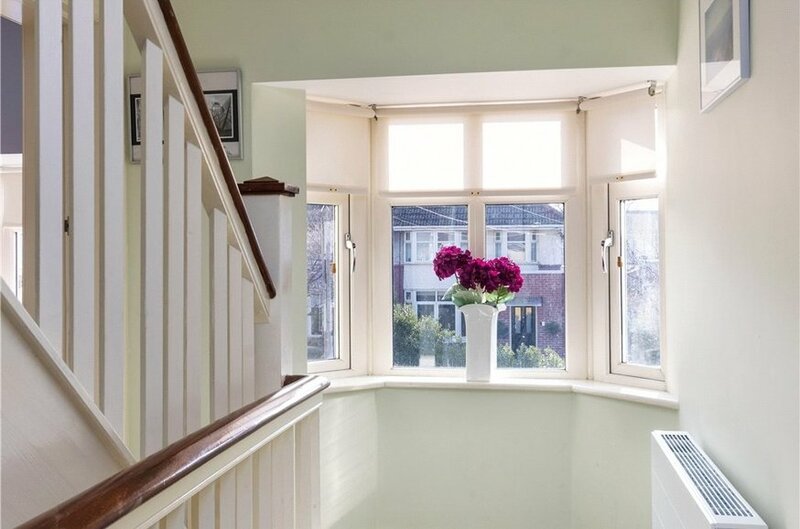 with hotpress / airing cupboard, bay window and staircase leading to converted attic area. with w.c., w.h.b. with storage under, walk-in double sized Grohe shower unit with rainfall attachment overhead, fully tiled floor and walls. 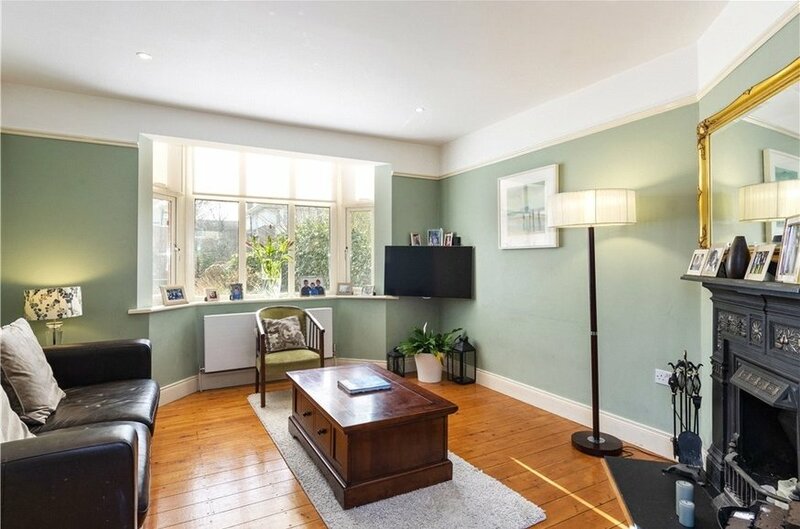 [measurement into bay window] with wooden floor and window overlooking garden to front. 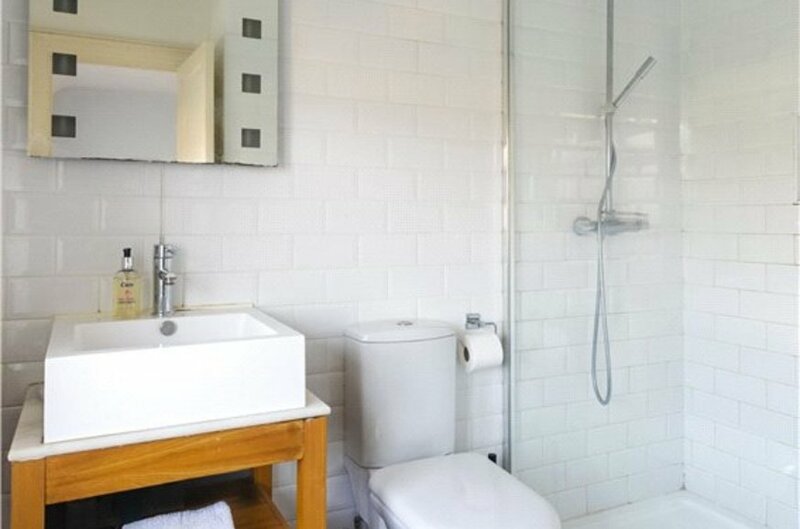 with w.c., w.h.b., Quadrant corner bath with mixer tap, separate double shower unit, vertical wall mounted towel rail, velux window overhead, fully tiled floor and part tiled walls. Gravelled with off-street car parking for two vehicles with mature hedgerow to front. 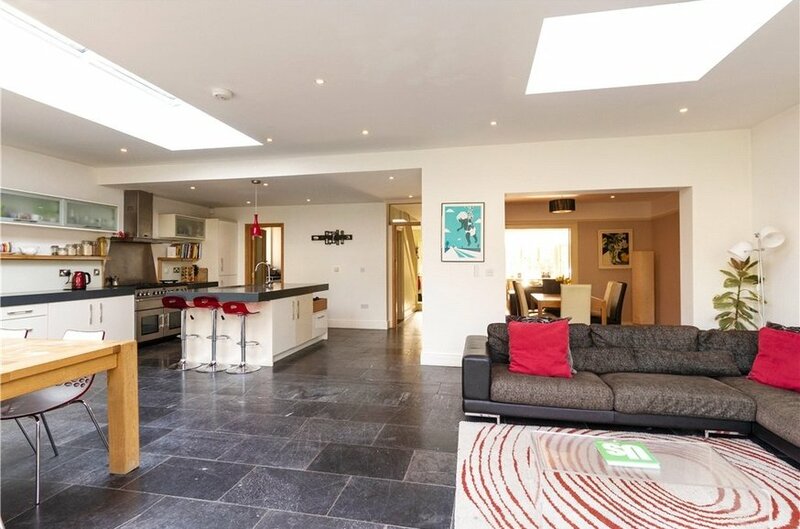 The rear garden is a magnificent feature and boasts limestone paved patio area interlinking seamlessly with the kitchen / family room, perfect for entertaining. 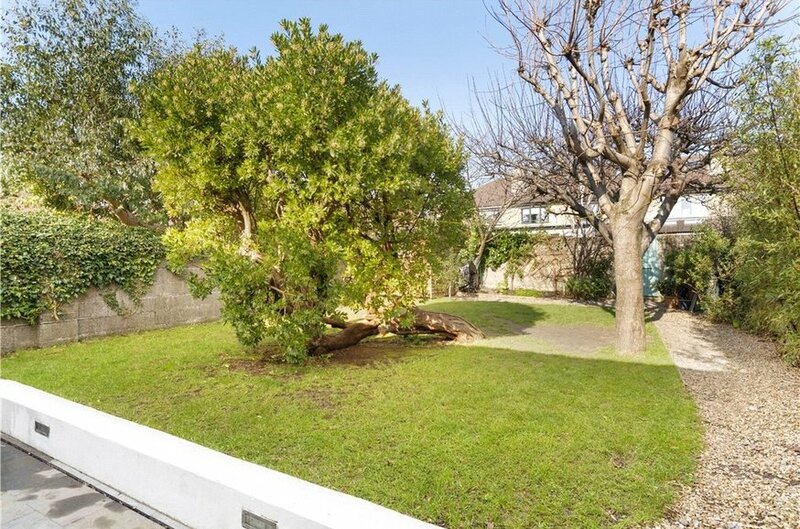 The garden is predominantly set out in level lawn with mature trees, plum and an apple tree, vegetable patch, gravel pathway to side and importantly it has pedestrian access to a rear laneway. There is also a barna shed and bordering shrubs, plants and hedgerow. Overall extends to approx. 14m in depth.